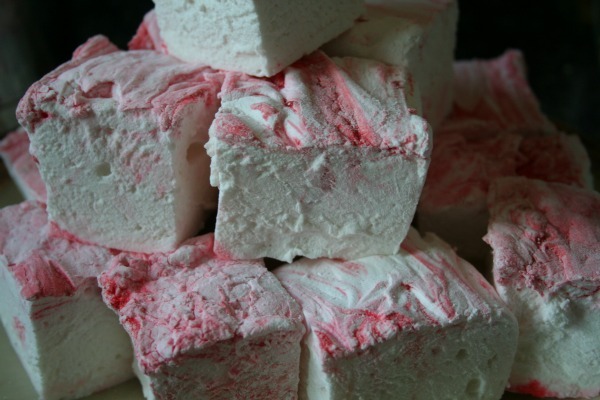 Have you ever eaten a marshmallow and wondered: "how the heck to they make these things?" 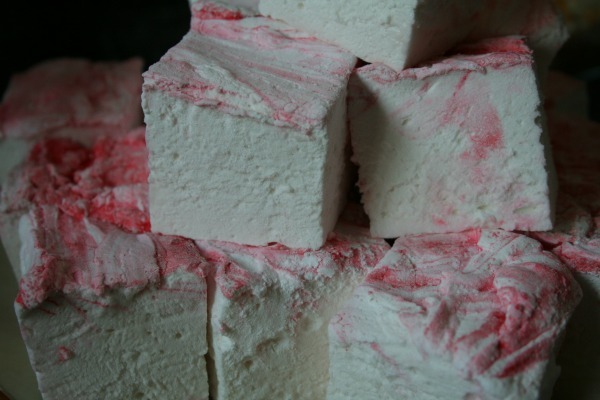 Have you ever heard about someone making marshmallows and wondered: "why the heck would you make marshmallows when you can buy them?" Well, the answer to question one can be found here. Yes. 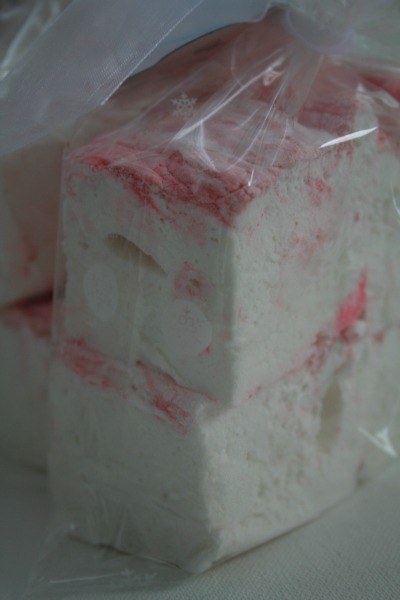 They're not just marshmallows...they're candy cane marshmallows. However, if you're not a fan of peppermint, just omit the flavouring and food colouring. The answer to question two....because it's really cool!! And pretty easy. Be sure to read the entire method a few times over. You need to get the timing right - which is why there aren't any photos of the process. I was focusing on not screwing up...sorry. You have to whip the crap out of the marshmallow goo for 10 minutes, so electric beaters (or better yet, a stand mixer) are a must. You'll also notice my marbling didn't turn out quite as nice as Martha's (does it ever? ), but they still tasted great! Since these marshmallows don't have any icky preservatives, they should be eaten quickly. 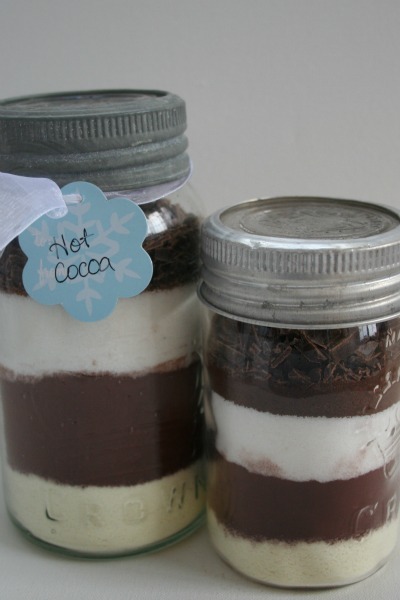 ...and pair them with some jars of hot cocoa mix to give away! I gave my marshmallows and hot cocoa away as Christmas gifts, but there's no reason why you couldn't do them up all lovey-dovey-like for Valentine's Day.